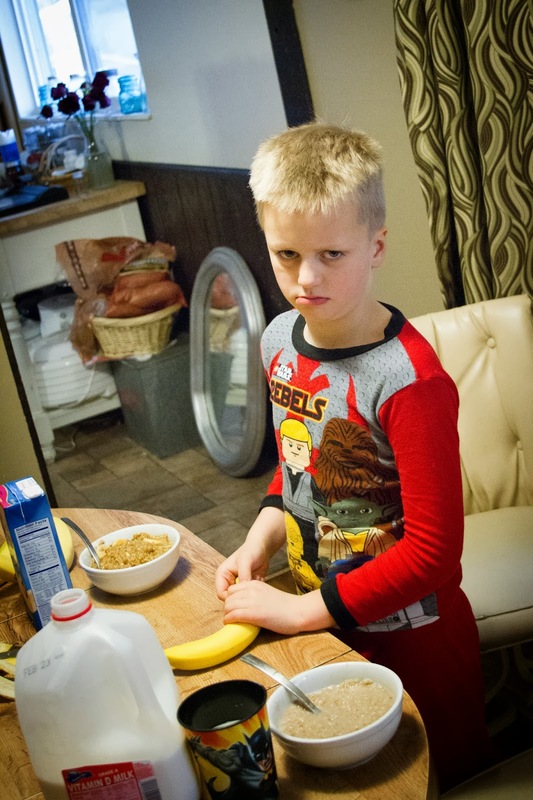 About a week ago Turner had discovered a love of making breakfast. I think it was due to the fact that I refuse to make breakfast for my kids until I get home from the pool, shower, get dressed, and read my scriptures. My kids usually wake up around the time I get home from the pool so they have a while to wait. 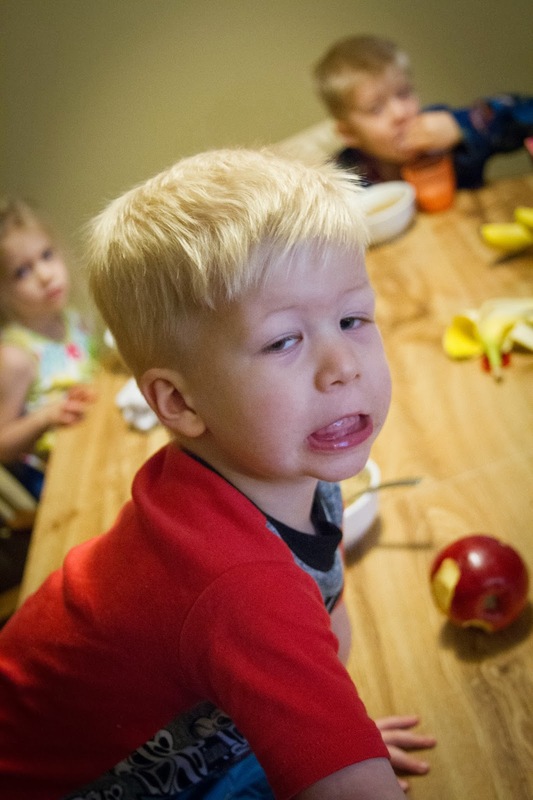 Turner had learned to make oatmeal and scrambled eggs. So on this particular day he got out the pot and started boiling the requisite 8 cups of water. He noticed the container of salt by the water and had helped me in the kitchen on many occasions when I made pasta and put generous amounts of salt in the water. He thought that it would be the same for oatmeal. He poured out enough to fill his palm and dumped it into the pot. After he had added the oats and they cooked for a while, I helped put in the cinnamon and vanilla. I pulled out my share and added milk, butter, and brown sugar for the kiddos. We all grabbed a banana, sliced it in, said a prayer and dug in with exuberance. Oh the faces that followed were comical. That is when he mentioned that he had put in a lot of salt. There was no way that we could possibly eat this food. Turner has a very fragile ego and I knew he would never want to make breakfast again. Not happy about the fact that I wanted to remember this day. This about sums up how edible the food was. We then went to McDonalds and picked up some Sausage McMuffins for the kiddos and after we did school, we watched Meet theRobinsons. He hasn't tried to cook again, but I hope he will. I also hope that by the end of the day he felt a little bit better about the fact that it was okay to have a failure every once in a while. Because lets all face it, if we are too afraid of failing, we won't be able to keep moving forward.